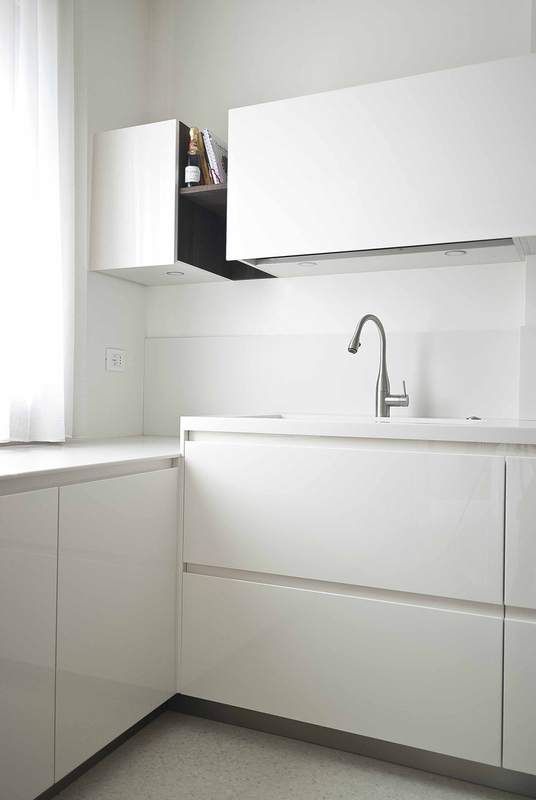 This kitchen is marked by the smart use of material. The project is marked by the role of the island, which take place in the open space to merge to the living room. The island is where everything take place. 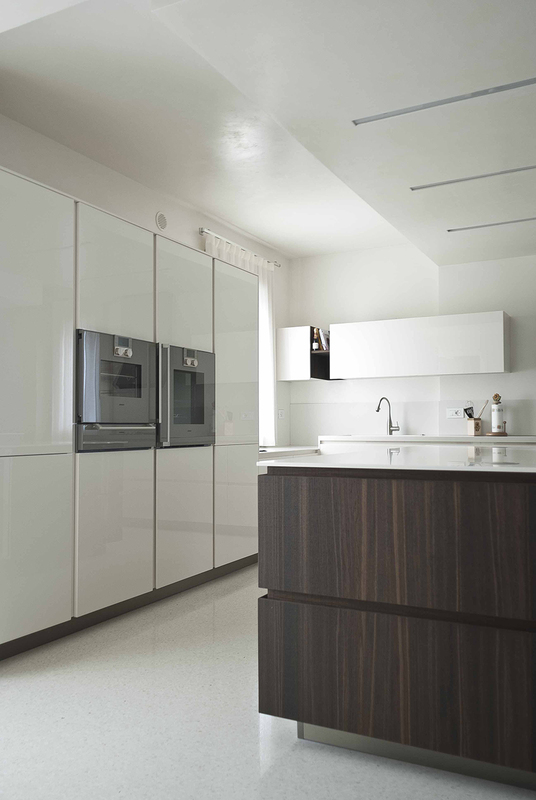 From the cooker area, to functional zone dedicate to food preparation. 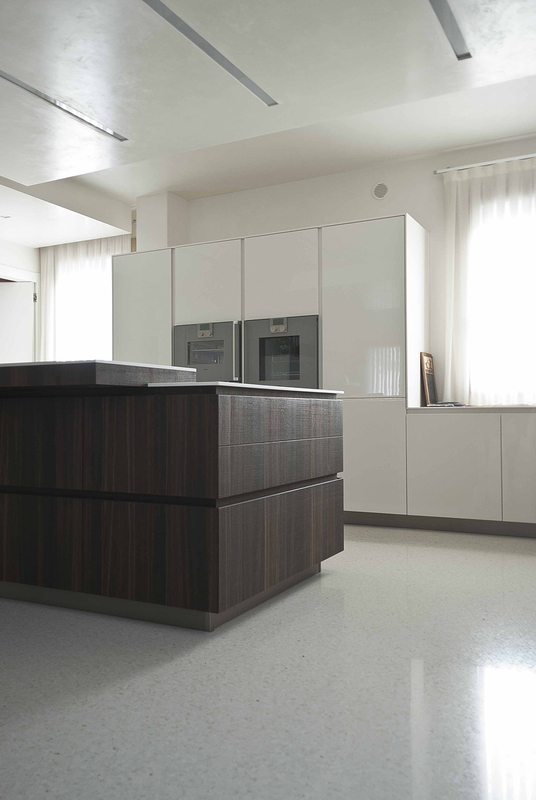 Made by Canaletto nut wood saw cutted, the corian top is worked to emphasize material details. 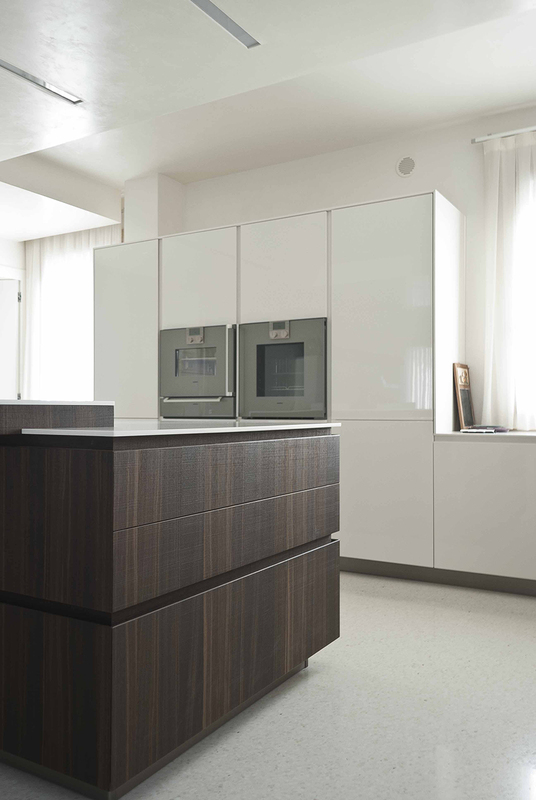 The white gloss lacquered columns, give lightness to the context and bring elegance to the kitchen.